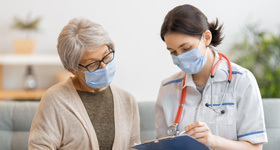 Northwest Medical Center - Bentonville, accredited by The Joint Commission, is a 128-bed acute care facility offering comprehensive cardiac care, including open-heart surgery and cardiac catheterization. The women's center features maternity care suites with home-like comfort in The Family Birth Place, and they were first in the state of Arkansas to introduce the newest low intervention birthing options, including a suite with a Murphy bed and birthing tub as well as nitrous oxide as a pain relief option. The Orthopedic and Spine Center - focusing on joint, muscle and bone injuries - has earned national accreditation from The Joint Commission for advanced total joint hip and knee surgery as well as spine surgery, the first in Arkansas to do so. The emergency department holds Chest Pain Center accreditation and is recognized by the Arkansas Department of Health as an Arkansas Stroke Ready Hospital. Northwest Medical Center – Bentonville has a rich history of service to the community, dating back to 1942. It was through the visions of Andrew Jackson Bates, his wife Ellen and the community leaders of Bentonville that Bates Memorial Hospital became a reality in 1942. The 12-bed hospital at 302 S Main was the first hospital in Benton County and the second in Northwest Arkansas. In April 1964, Bates Memorial Hospital opened a new 35-bed hospital located at 602 N Walton Boulevard. 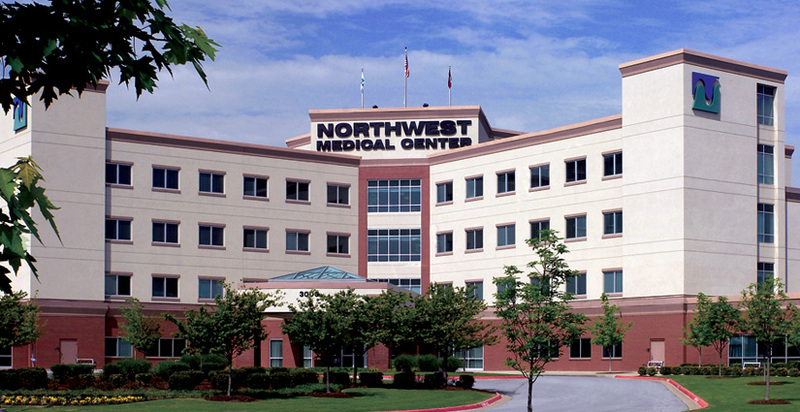 On July 1, 1996, the hospital merged with Northwest Medical Center – Springdale, forming Northwest Health.